Depending upon the cause headaches may present differently involving different kind of sensations, distinct areas, diverse intensities, and different timings. Tension type headaches are the most common type of primary headaches. The patient perceives a dull, constant pain presenting on both sides, as if the head is constricted by a tight band. The patient might often complain that the pain either radiates to the neck or from it. These headaches can be chronic or episodic. Next most common headaches are those related to migraine. Migraines can occur for any amount of time from few hours to few days. The pain experienced is pulsating or throbbing pain that can occur on one of both sides of the head. The headache is most often presented along with nausea, lightheadedness, sensory disturbances or blurred vision. Cluster headaches are not too frequent but when they arrive they arrive quickly and without a warning. The patient may experience headaches at the same time once or more than once a day. Each episode last for about 45 to 90 minutes and, as the name suggests continues over a cluster period of about four to eight weeks. The pain is often severe, and characterized as burning or sharp pain. It is usually present in and about one eye. Other signs include redness and swelling around the affected eye, drooping of eyelid and it can be accompanied by running nose on the affected side. The diagnosis is usually established on the basis of signs and symptoms. Hence, it is important to elicit the headache history from the patient accurately and thoroughly. Depending upon the pattern, type, intensity and location of the headache an experienced medical practitioner shall be able to reach the correct diagnosis. Maintaining a headache record by the patient often helps in reaching the correct diagnosis. If the headache presentation is complex, or a secondary headache is suspected with unclear cause further investigation specific to the differential diagnosis might be required. These investigations might include blood reports, x-rays, CT scans or MRI scans. At times these investigations are also necessary to explore the extent of the underlying condition. Commonly people self-treat headaches at home. Only when the headache seems to be uncontrollable after the self-care, people visit a doctor. Unfortunately many people adapt themselves to live with the headache without ever showing to a medical expert. The commonest method of treatment includes the use of over-the-counter painkillers. 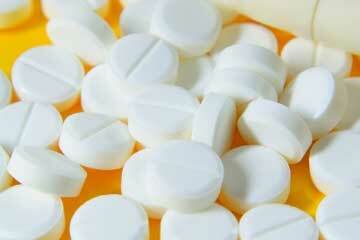 However, the overuse of painkillers might lead to rebound headaches, thus they should be avoided if possible. The right approach would be to visit a doctor who can properly establish a diagnosis and treat accordingly. Frequently drugs prescribed by medical care provider include antidepressants, beta blockers or anti-epileptic drugs. Heat pack or cold pack – either of the two is both good to get rid of the pain. Apply on head and neck. Caution: You should visit your physician and take his opinion before self-treating or using alternative methods. Undiagnosed underlying conditions may even deteriorate the longer you wait.